Words on Bathroom Walls by Julia Walton. Book Review. This young adult book is about a middle grade student who has experienced sudden onset severe schizophrenia. He has been moved to a new school for fresh start. His parents demand that the staff keep his medical condition secret. Adam falls in love with an intelligent and strong young lady named Maya. He is terrified that when she finds out about his illness, she will drop him. Adam is on a trial drug because the standard medications do not work to control his hallucinations which can be so severe that he has acted on them in the past including severe self injury. To complicate matters, his father has abandon him and his stepfather is nervous around him. Add to the fact that his mother becomes pregnant and we see that there are no simple solutions to a complicated issue. The story was deeply introspective and this made it a little difficult to connect with the other characters who seemed flat in comparison. This book is sure to elicit discussion and disagreement but it is also extremely informative as far as getting inside the head of a young man trying to cope with a extremely challenging condition. Adam is a likable and decent young man who deserves a better break than what life has given him. No matter how you feel about his family’s decisions with regard to Adam’s care and inclusion, you are bound to empathize and feel great compassion for this individual. Click on the titles to read the reviews. Erasable: The protagonist, nine-year-old Ellie, discovers something in her grandmother’s attic that promises to solve all her problems. But like the genie who grants three wishes, one never knows where magic will lead. Ellie has little understanding of the karmic results of her decisions. What begins as little improvements cascades into major life changes, not all positive. Digby: A little boy inadvertently finds himself in a secluded world where some species of dinosaurs still exist and have evolved to a higher level. But it is so much more than that. The Tiny Hero of Ferny Creek Library by Linda Bailey. Illustrated by Victoria Jamieson. 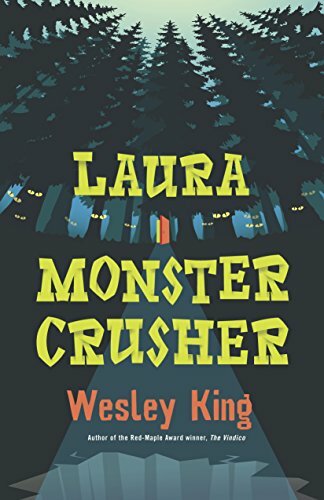 The reader can’t help but love the little hero, Eddie, a tiny bug who braves the huge halls of the school, dodging a spider, a mouse, and lots of squishers (humans who stomp on bugs), in order to find his missing aunt. Tangled Lines by Bonnie J. Doerr. The reader is given an insight into the daily struggle of fishermen, the risks taken by Cuban immigrants to reach the United States of America, exploitation of the natural world, the senseless slaughter of wild creatures, and the courageous and giving nature of volunteers trying to protect endangered wildlife and the environment. Something Stinks by Gail Hedrick. Emily is determined to find out why fish are showing up dead on the river banks by her aunt and uncle’s home. Her small town is suffering from job loss, so Emily’s investigations are less than popular. She decides to focus on an exposé for the school newspaper. Whatever industry she points the finger at may mean disaster for the company and, subsequently, the workers. Halito Gianna by Becky Villareal. Gianna could easily become one of your children’s favourite book characters. This is a determined, bighearted, independent, and opinionated girl. She is resourceful and clever. Rebecca Heller is the quintessential surfer girl. The bio on her website begins “Rebecca Heller is a Los Angeles-based high school counselor. She like totally lives in the Valley with her surfer husband and precocious daughter. She occasionally ditches school to go surfing.” She even has long blonde hair. Bonnie Ferrante: Welcome, Rebecca. 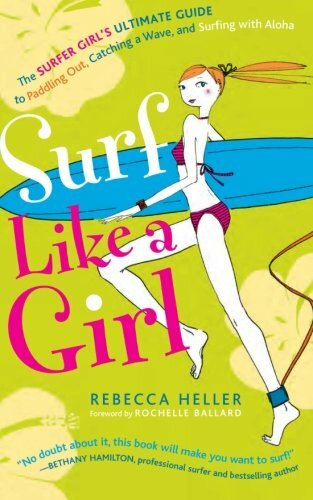 It’s not surprising that your first book, published in 2005, was Surf Like a Girl. How old were you when you started surfing? 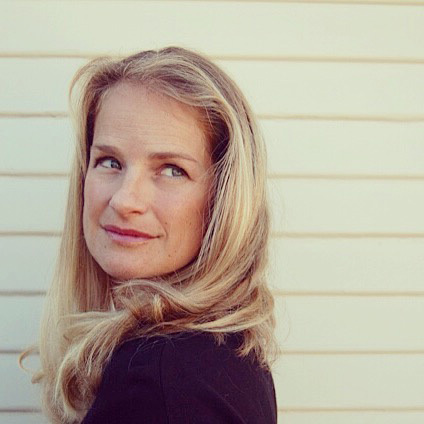 Rebecca Heller: In 2001, I moved from New York City to Los Angeles, within the month I had taken my first surf lesson and have been in the water ever since. I was 28 at the time—an old lady by surfing standards, but you are never too old to learn! Ferrante: The book includes practical information on surfing, such as how to ride the waves and safety, but it also includes etiquette and what to wear. Basically, it explains the whole package of the surfer girl persona. Was this based on personal experience or observation? Heller: Definitely personal experience. When I was learning, I was asking a million questions. There were very few books and this was in the early internet days and there was just very little information out there. Especially for girls. Ferrante: Skater Girl is in a similar style. It includes the basics and advanced techniques with step by step instruction. When did you start skateboarding? Do you still participate? Heller: I skated a bit as a kid and got back on a board around the same time as I started surfing. The two activities have a lot in common. 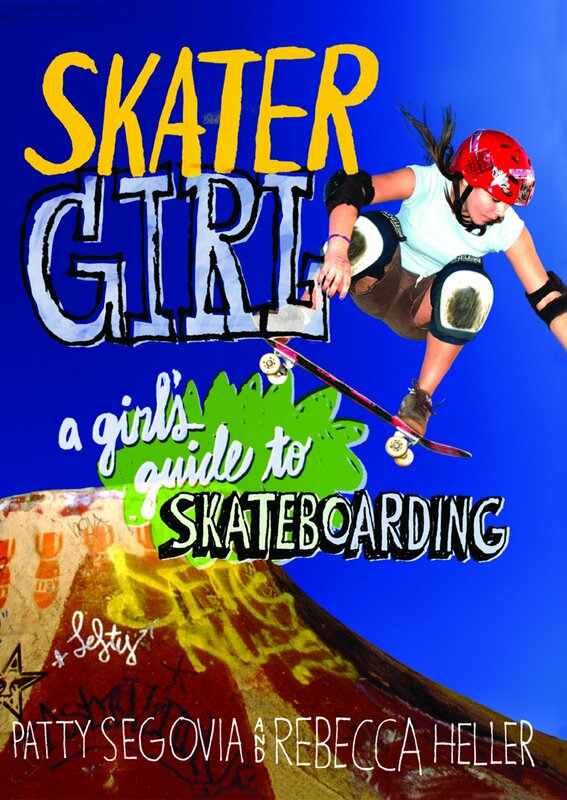 My skateboarding skills are nowhere near my surf skills so I co-authored Skater Girl with an expert, Patty Segovia, who runs the All Girl Skate Jam. Ferrante: Are these two books mostly read by young people beginning the sports or the sports audience? How do you prepare yourself to write for that particular readership? Heller: When I wrote Surf Like a Girl, I was in a way writing for myself when I was a beginner. It’s funny, my voice just skews towards a young audience. It is no surprise that I continued writing for young people. I also work with young people as a high school college counselor. It is definitely my comfort zone! Ferrante: Kids must think you’re the coolest counselor ever. Your publishing company is called “Like a Girl” press. I assume you are poking fun at the denigrating saying “she throws/runs/etc. like a girl.” Would you tell us about your mandate to empower girls? Ferrante: You have a fiction book, Gilbert and Louis Rule the Universe for middle grade readers. Why did you choose that age level and that topic? Heller: : Gilbert and Louis Rule the Universe had been in my heart for a long time. It is a semi-autobiographical story about me and my best friend in middle school. (We really did call ourselves Gilbert and Louis) As the saying goes, “God writes poor fiction.” So I had to give it structure. I love Jane Austin and the plotline of Pride and Prejudice fit with my story and gave it a stronger narrative. Ferrante: You also have two picture books, Falling Rock and your latest book Elephants. Why did you change from chapter books to this style? Heller: The sweet spot for Falling Rock is second grade. I wrote Falling Rock over 18 years ago, and my mother did the artwork. 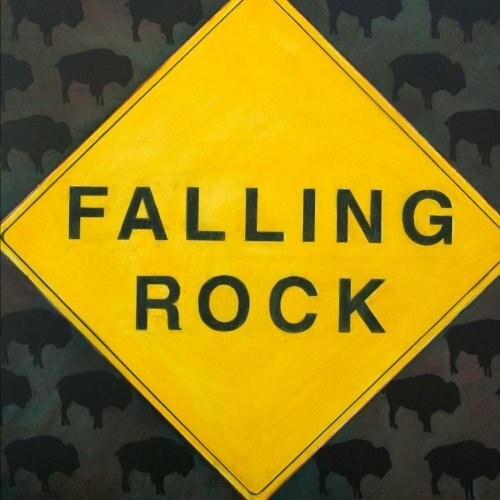 The story was based on a tale my camp counselor once told us about how Falling Rock was a Native American and wherever he was spotted they put up a sign with his name. Once my daughter was born I pulled out the story, dusted it off, rewrote it, re-photographed the artwork, and created the book. I have been reading tons of picture books with my daughter and I am absolutely in love with them. I have always been drawn to visuals (I was an Art History major in college and my mother is an artist), so I love the combination of a good story and great artwork. I also love animals and feel very strongly about animals in the wild being conserved and protected. Ferrante: The illustrations are wonderful? How did you connect with Susie Mason? Did you collaborate or did you just hand over the words to her? Heller: I found Suzie on the internet while searching for illustrators. I had a very strong vision for the book. If you ask anyone who knows me they know I have a real sense of what I like and don’t like. I saw Suzie’s work online and was like “this is it.” I sent her an email asking if she wanted to illustrate Elephants and happily she said yes. She is based in the U.K. so we have never met in person, but we collaborated on it greatly. She brought a lot of wonderful ideas to the table that made it better than I had even imagined, and all the time we stayed true to my initial vision. She is amazing. Ferrante: Part of the proceeds from Elephants goes toward the Amboseli Trust for Elephants (www.elephanttrust.org). Why did you choose that particular charity out of all the elephant charities? Heller: The Amboseli Trust for Elephants aligns perfectly with my goals of elephant conservation and protection as they are a non-profit organization that aims to ensure the long-term conservation and welfare of Africa’s elephants. I was turned onto ATE by Colleen Kinzley, Director of Animal Care, Conservation, and Research at the Oakland Zoo, who helped me fact check Elephants. The Amboseli Trust for Elephants is also the legal entity that administers the Amboseli Elephant Research Project, the longest-running study of wild elephants in the world. Since 1972, they have followed the lives of the Amboseli elephants; the results of their research has profoundly altered the way we think about, conserve, and manage elephant populations. They are doing fantastic work. Ferrante: Are you working on another book? Would you like to share? Heller: Yes! Suzie Mason and I are currently working on a series that feature threatened or endangered animals. The next up is an animal that is close to my heart, Dolphins! We are also working on books on Polar Bears and Whales. If you were a natural disaster, what would you be, and why? Heller: As a surfer girl, I would have to say a tsunami. Ferrante: As a teenager, who was your idol? Heller: Hmm, I am not sure I had one. I would say though that my idol since childhood and still has to be Eloise from the Kay Thompson series. Ferrante: Is there a childhood keepsakes that you treasure or wish you had saved? Heller: I am rather sentimental although also a minimalist, which is a tough combination. Two of my favorites are Skinny Bunny (a stuffed rabbit that looks exactly like the name implies), that is now in my daughter’s room, and my “Becca Books” a series of books my aunt made for me that feature photographs of me and my family along with fantastical stories that my aunt created. Ferrante: It’s wonderful when we can pass on something precious from childhood to our own children. Thank you for answering my questions. Best of luck with your animal picture books in the works. I hope all your waves are perfect. 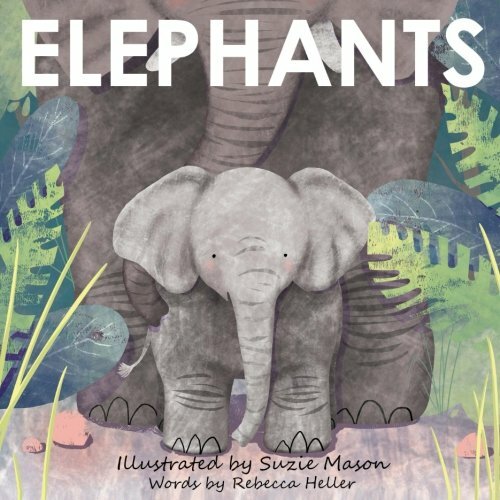 Elephants was reviewed on this blog. Click on the covers for the information and buy links. 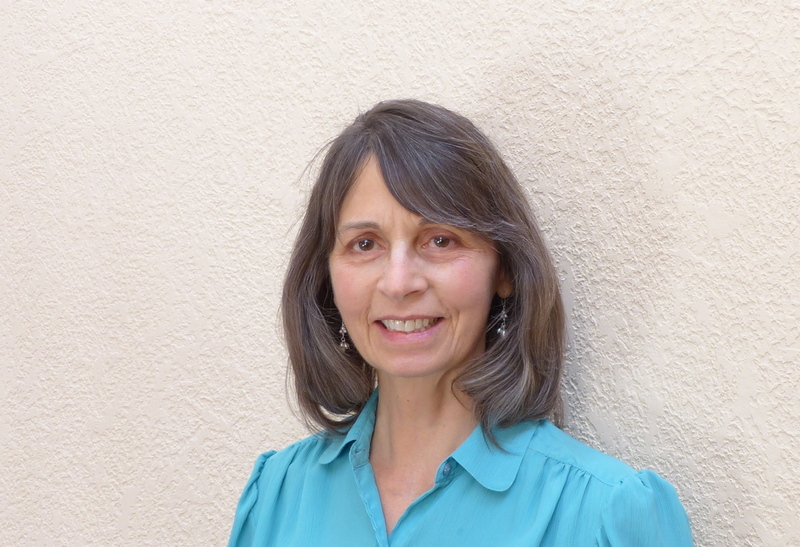 Linda Yiannakis has worked with children as a Speech-language pathologist for over 30 years. Her interest in language on becoming a writer has been an important influence on becoming a writer. She also teaches martial arts and there are certain philosophical elements from that world that have made their way into her work. Linda lives in the high desert of Albuquerque, New Mexico, where roadrunners and bobcats are some of her closest neighbors. Bonnie Ferrante: Welcome, Linda. I think we live at opposite environments, although we also get bobcats in Northern Ontario. Linda Yiannakis: Thank you. I’m happy to be here. Ferrante: What martial arts do you teach? Have you ever written about them? Yiannakis: I teach traditional judo and a style of Japanese jujutsu. Over the years I’ve studied other arts as well, such as kenjutsu (swordsmanship), which is based on the same principles as the unarmed arts. I have published several articles in various martial arts publications and on the websites of international organizations. I also write summaries and further explanations of points I’ve discussed in class for my students. Ferrante: Kenjustsu is impressive to watch. As a former teacher, I was always grateful for the difference speech therapy can make to a child’s ability to be understood. Has your experience with this work ever shown up in your writing? Yiannakis: It has, in a yet-to-be-published manuscript called Digby of the Dinosaurs. In that story there are serious issues of communication to be overcome by the main character. Ferrante: I look forward to seeing that in print. Erasable is your first book, correct? What inspired you to write this story? 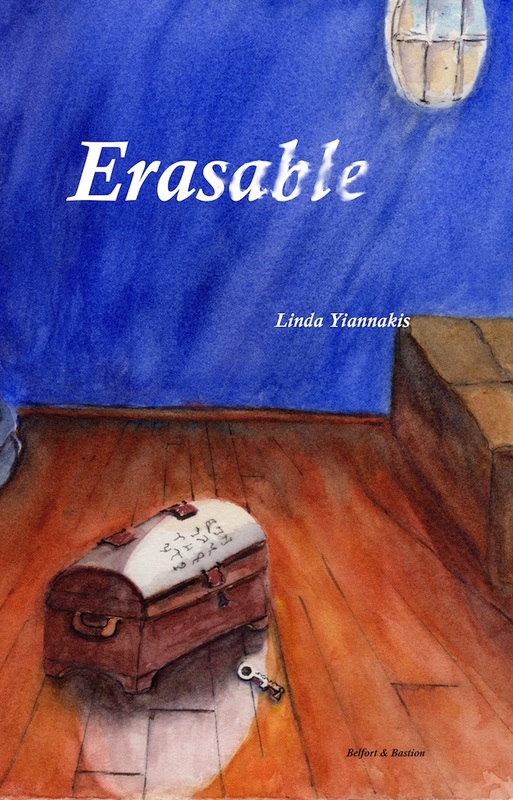 Yiannakis: Erasable is my first published book, yes. I think that years of working with children who often wanted to just wish their problems away rather than deal with them made an impression on me. You do have to learn how to deal with problems, but not everyone has an adult who guides them through that process as they grow up. Children often can’t see the potential unhappy consequences of things that they wish for. I hope Erasable at least plants the seed of that idea in some young minds. Ferrante: Unfortunatly, not everyone understands that. All that power in the hands of an inexperienced child parallels what often goes on in the adult world as well. There is a strong element of karma in the novel. Every time one part of history is changed, the ripple effects are unpredictable. What are your thoughts on this? Yiannakis: Change doesn’t always turn out the way we envision that it will. I think that as humans we are more connected to other people and events than we sometimes realize. And we can see less far into the whole cascade of future events that can occur as a result of our changing things than we think. Ferrante: I loved the book and the subtle messages given about our choices, impulses, and perspective. Without trying to give away too much of the story, one prevalent theme is the impact of our close associates on our lives. The presence or absence of another can greatly influence who we are. What would you hope readers gather from that? Yiannakis: We should reflect on the fact that everyone leaves imprints or influences on other people. Some leave just a trace that we barely notice; others change our lives. And we ourselves are leaving imprints on others. It’s important to take stock once in a while of who you believe yourself to be and who you want to be because you are sharing little pieces of yourself with the people around you, whether you are aware of that or not. There is a Japanese legend about the « red string of fate » that says that the gods tie a red string around the pinky fingers of those who are destined to meet, help one another, or achieve something together. There are variations in how the legend is told but it presents the idea that all of our encounters are not random, but meaningful. How do you organize or schedule your writing? Do you have a routine? Yiannakis: I do best when I get a lot of little chores out of the way so they aren’t nagging at me. I’m most comfortable writing in the late afternoons or early evenings. I like to write to some sort of closure. So in a book like Erasable, generally I tried to finish a draft of a chapter each time I sat down. Then about every three or four chapters I went back to reread and begin revising previous chapters. This was a process that I did over and over until I was ready to go through the whole thing from the beginning and do further revision on the book as a whole. Ferrante: I would consider this book suitable for ages ten and up. Why did you decide to write for that age? Yiannakis: It’s a wonderful age. They’re old enough to consider some more mature life concepts and scientific principles than children just a few years younger. But they’re still young enough to believe in magic and wishes. Ferrante: Yes, I loved teaching kids that age. They also have developed a fun sense of humor by age ten. What do you think makes your writing original? Yiannakis: I believe I bring a voice that reflects not just my own perspective on life but experiences from many children from a variety of backgrounds. Ferrante: Yes, spending a day with a child is more valuable than any writers’ workshop. Are you working on anything new that you would like to share? Yiannakis: I’m working on more revisions to Digby of the Dinosaurs, a story about culture shock, identity and self-empowerment in a little boy who finds himself among living dinosaurs. Ferrante: Well, that could go a lot of different ways! LOL. Now for three random questions (From a Bit of Banter, the Game That Gets You Talking). Ferrante: What is the most useless thing you have ever bought? Yiannakis: That’s a tough question. I guess recently, a tomato slicer. It should have been called a tomato squasher. Ferrante: As a child what was your favourite meal? Ferrante: What is people’s most common misconception about you? Yiannakis: I learn languages pretty easily, but not without a lot of work. I’ve had several people tell me over the years that they wished they had my ability to « just pick up a new language. » They don’t realize how much study and mental practice I build into my day to progress. Ferrante: That’s admirable. Perhaps that will show up in your writing in the future. Best of luck with Digby and thank you for participating in my interview series. Erasable will be reviewed tomorrow on this blog. Click on this link to buy Erasable. Jayne Barnard has written for children and adults in the genres of history, mystery, and lately alternate dimensions. Her fiction awards include Saskatchewan Writers Guild, Bloody Words, and Unhanged Arthur, as well as a shortlisting for the UK Debut Dagger. 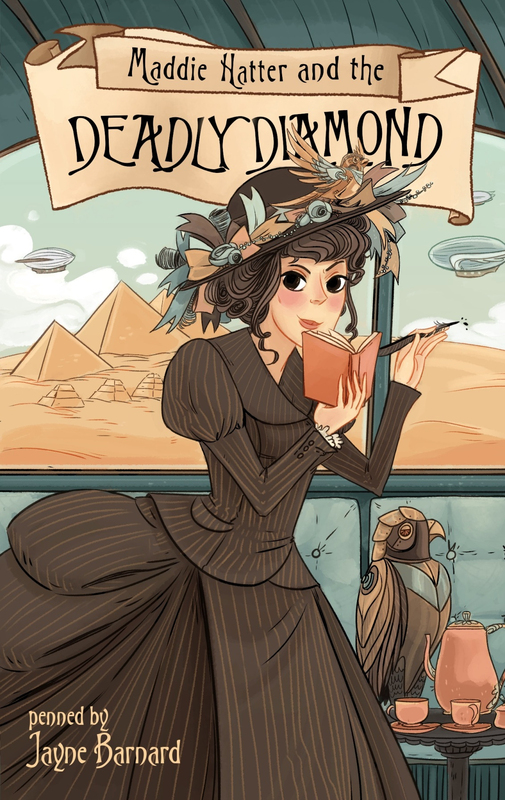 Her YA Steampunk Mystery, Maddie Hatter and the Deadly Diamond, is a finalist for the Prix Aurora and the Book Publishing in Alberta Awards, and a winner of the eFestival of Words Award for Children’s Literature. Her special genre is steampunk. Bonnie Ferrante: Welcome, Jayne. Tell us a little about yourself. Jayne Barnard: I grew up on Canadian Forces bases in 6 provinces, 3 US states, and Europe. This exposed me to a lot of cultural differences quite early. I finished high school in Kapuskasing, ON, 300 miles from any city, immediately after living on a NATO base in Germany, where I could ride my bike to France any afternoon. Talk about culture shock. Ferrante: Why did you choose to write steam punk mysteries? Barnard: Steampunk appeals to me because of the adventure elements, the sense that anything is possible. The fathers of Steampunk are H.G. Wells, A.D. Doyle, Jules Verne. Yet I also grew up reading Enid Blyton adventures, and Trixie Belden, Nancy Drew, and other teenage sleuths. My Steampunk sleuth, Maddie Hatter, is barely out of her teens; she goes on adventures by airship and steam-carriage rather than in a blue convertible, but she’s as dedicated as Nancy Drew about solving the mysteries that fall into her path. Ferrante: Your short stories have won several prestigious Canadian awards and honors. Did you begin with short story writing and then evolved into a novelist, or have you been writing short stories and novels side-by-side throughout your career? Barnard: I won my first short fiction award in 1990 for a story, written for my daughter, about a princess solving a dragon problem by using arithmetic. Novel-writing came later, but I still return to short stories between the longer projects, often as a mental distancing technique between finishing a manuscript and beginning to edit. I had a post-apocalyptic short crime story published last month in Enigma Front: Burnt, and have a more traditional crime story coming out in The Whole She-Bang 3 this November, both written while I was editing longer works. Ferrante: Do you approach writing a short story the same way as you do writing a novel? Barnard: Since my B.A. in Theatre, I see every piece of writing like the scenes of a play. A short story has fewer scenes and charges onward to the end. A novel has more scenes and many rises and falls of tension before rising toward the climax. Novel scenes have to not only carry their own weight but also carry the pace appropriately for their place in the overall story. Ferrante: Every now and then a writer introduces me to something new. This time it was parasol dueling. There seems to be no hitting or violence involved. I discovered you are a leading member of Madam Saffron Hemlock’s Parasol Dueling League for Steampunk Ladies. Could you explain what parasol dueling is? Ferrante: I’m glad you explained that. I totally misunderstood what was happening. I haven’t really read much steampunk. My misconception was that involved a lot of goggles, loud clanking steam-driven machines, black clothing, and dirigibles. However, I’ve seen a lot of other things on your sites such as royalty watching. 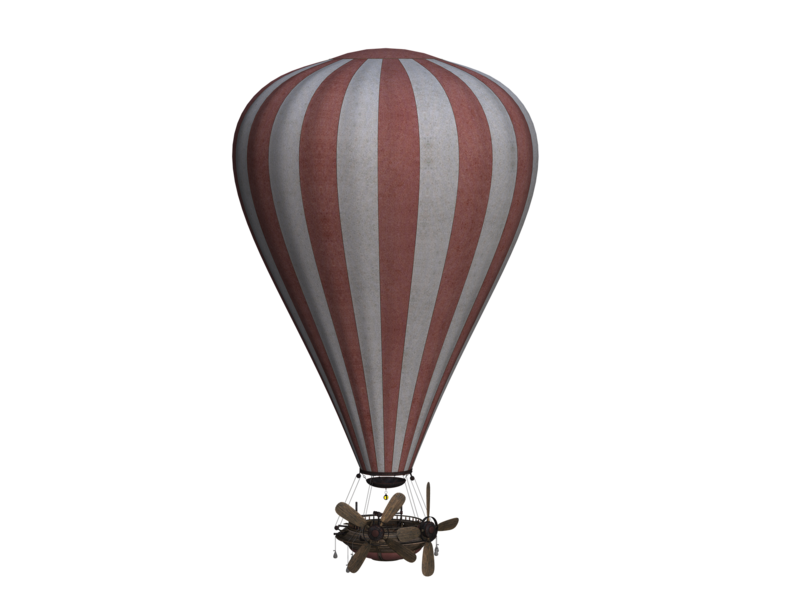 Are there different types of steam punk? What is the quintessential definition? Barnard: There’s no single definition, but it’s rooted in the Victorian era. Canadians were part of the British Empire, so our Steampunk clothing reflects that. I write against a background of social class and the queen, also important to the British. Americans emphasize the Civil War and Wild West, more egalitarian. If a story uses petroleum technology instead of steam machines, it’s called Diesel-punk, and if it uses computing devices and internet-like communications, then it’s Cyber-punk. Ferrante: Diesel-punk is a new term for me. The mystery genre has been popular for decades. Why do you think steampunk mystery is developing such a strong fan base? Barnard: I think Steampunk mystery combines the enduring popularity of mystery with the endless possibilities of the adventure novel. Mysteries set on space stations or in fantasy universes are also very popular. I don’t think the classic crime novel will be displaced by cross-genre fiction; rather, they act as gateways to each other. Ferrante: Give me a teaser about your latest work Maddie Hatter and the Deadly Diamond. Barnard: Miss Maddie Hatter is scraping a precarious living as a fashion reporter when the story of a lifetime falls into her lace-gloved hands. Baron Bodmin, an adventurer with more failed quests than fingernails, has vanished in circumstances that are odd even for him. As the last reporter to see the potty peer alive, Maddie has a chance to become an investigative journalist, no easy feat for a young lady in 1898. If she can locate the baron or the Eye of Africa diamond he was hunting, her career will be made. Somebody out there knows what happened, but nobody is talking…. Ferrante: As soon as I heard the title, I thought of the mad Hatter in Alice in Wonderland. Is that suggestion deliberate? Barnard: Alice in Wonderland is one of the Victorian era’s best-known fantasy tales, and for that reason it’s much admired by Steampunks. So yes, Maddie’s name is deliberate. The rest of Deadly Diamond owes more to the game of Clue which, while not a Victorian invention, is not far removed from some Victorian parlour games. 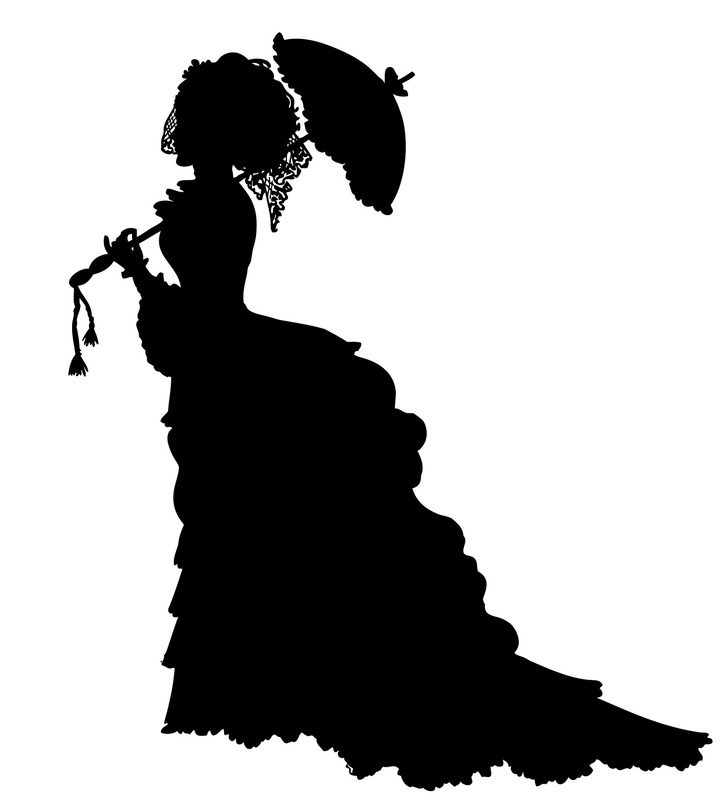 Ferrante: Your knowledge of high fashion clothing during the Victorian era is impressive. I see that you also sew your own costumes for special events. How have you learned to do this? How often do you dress up? Barnard: I’ve always loved fabrics and playing dress-up; that’s partly why I went into Theatre in university. In costuming classes I learned fitting and sewing. Nowadays health issues keep me from acting, but Steampunk allows me to dress up every few months to improv the part of Madame Saffron, the alternate-Victorian professor of applied botany and parasol dueling. Ferrante: The vocabulary in Maddie Hatter and the Deadly Diamond is quite rich and the writing style is more formal than what young adults are used to reading. Who do you think are your most devoted fans? Barnard: Girls 10-13, although fans range from 7 to 85. Our test readers said they loved the ‘juicy’ words like vindicated, precocious and copious. They mostly figured out meanings from context, and they were engaged enough that stopping to look up some words didn’t throw them out of the story. Ferrante: Are you working on another steampunk mystery? Barnard: Maddie Hatter and the Gilded Gauge comes out next April. It’s set in New York City in 1899, at the height of the Gilded Age of Vanderbilts and Astors and lavish mansions. Lots of scope for my love of fine fashions and furnishings, but the mystery gets dangerous really fast. Ferrante: If your life were literally flashing before your eyes, what are three moments or scenes from your past that you would expect to stand out? Acting the Three Witches’ opening from MacBeth at my Grade Five Halloween assembly, which set me on the acting path (and the corollary: seeing MacBeth performed at Stratford last spring). Visiting Neuschwanstein Castle in Bavaria when I was 12. It’s the world’s most fairy-tale of castles, and mad King Ludwig, who built it, took strong hold of my young mind. Having so many friends, new and from decades ago, show up to the launch for Maddie Hatter and the Deadly Diamond to help celebrate that I had finally achieved my lifelong dream of a book with my name on it. The book made #1 on the Calgary fiction bestseller list for that week because of all those wonderful people. Ferrante: If you were told that you could watch only one television show a week for the next 12 months, which show would you choose to watch? Barnard: Funny you should ask that. Right now I’m re-watching Star Trek: The Next Generation – admittedly more than one episode a week – and marveling at the concise dialogue and tight plotting that goes into almost every episode. Ferrante: I loved STTNG. I’m in awe of Patrick Stewart. If you could wake up every morning, open your bedroom blinds, and look out a huge glass window at the perfect view, what would that be? Barnard: Across a wide, sunlit bay to snow-capped mountains. It’s almost the view I get from my winter place on Vancouver Island, except that we can’t quite see the Comox glacier from our deck. Between that and the past year’s writing successes, I’m very close to living my dream. Ferrante: That’s awesome. Good for you. Thank you for sharing your work with us. You’ve opened a whole new door for me. Best of luck with your new Maddie book. 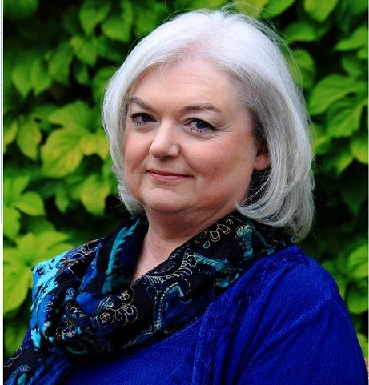 Want to know more about Jayne and her work? Go to Clockworks and Crime. Maddie Hatter and the Deadly Diamond was reviewed on this blog on Monday, March 6, 2017. Note: the three random questions are from “Chat Pack – Fun Questions to Spark Conversations”. 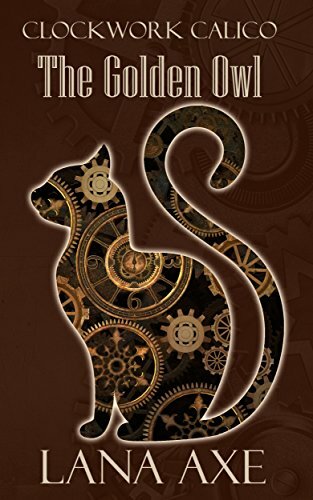 Meow,Tick, Tock – The Golden Owl (Clockwork Calico Book 1) by Linda Axe. Book Review. The characters in this novel were endearing and worth investing in emotionally. The clockwork calico cat has been modified by the inventor Lionel Cogg to have several super qualities. But her most compelling qualities are her loyalty and compassion. This is a little superhero everyone can love. She even comes with an adorable sidekick, a mouse she spared named Emmitt who risks his life several times in her service. When her friend (cats don’t have owners), Lionel Cogg, is kidnapped by his arch enemy Jameson Morcroft, Cali and the mouse rescues him. This is where the story really takes off. Cali discovers a plot to steal the golden owl from the museum. However, the thieves are nasty, clockwork spiders with super qualities of their own and she must face them alone. There are wonderful moments of suspense where the reader cannot put the book down until he or she knows the resolution. There are also lovely moments of friendship, without becoming saccharin. Lana Axe creates a believable and interesting world. Kelly’s modifications and the clockwork inventions are explained in detail without becoming tedious. However, I was surprised to suddenly learn that in this steam punk culture, the bank’s alarm system was powered by electricity. Axe is a polished writer, however it would be advantageous for her to avoid using so many clichés such as, “the clock released with an audible click, music to Cali’s ears.” As well, she tends to overuse sentences beginning with “as” or “ing,” which can be wearying to the reader. There are some very funny moments, especially with the mouse. Axe delivers with perfect timing. I wish Axe had explained why Lionel surgically modified the cat. It is obvious in the story that both the cat and mouse are highly sentient beings able of interspecies communication. Although Kelly cannot speak to humans, I would be more comfortable if this intrusive procedure was consensual or as a result of repairs done to her damaged body from an accident or disease. Cali condemns Jameson Morcroft on suspicion that he would operate on other animals but gives no reason why she is affectionate and loyal to the inventor who risked an innovative and dangerous procedure on her. Maybe I missed this. But experimentation on animals makes me cringe. However, there is much to recommend in this story. Middle grade readers and up will enjoy it. #1 A Tunnel in the Pines by Lucia Greene. As the situation unfolds, the reader is reassured that tragedy is on the way but how big and how final isn’t revealed until the end. Lucia Greene is a polished, skillful writer whose words reel you in and keep you hooked to the very end. You care, deeply, about these kids and about the final outcome. The words flow so professionally that the reader is never conscious of the text but is, instead, completely immersed in the story. #2 The Curious Cat Spy Club by Linda Joy Singleton. The mystery is complex enough to keep a middle grade child turning the pages but not so complicated as to bore or clutter the storyline. Singleton does not overwhelm the story with social drama but still allows us to see the emotional makeup of each character. Along the way, readers learn important information about abandoned and abused animals. #3 The Scent of Something Sneaky by Gail Hedrick. 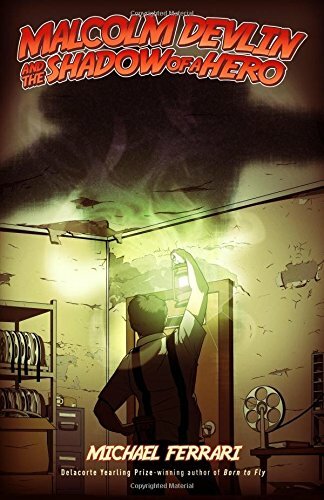 The suspense and the pace increase steadily throughout this well-written book. The teens are likable, believable, and brave. There are surprises and twists but nothing that doesn’t logically fit in the story. The plot holds together very well and when the mystery is solved, the reader will be satisfied. Does the New Kid Always Get Bullied? – Malcolm Devlin and the Shadow of a Hero by Michael Ferrari. Book Review. Malcolm Devlin and the Shadow of a Hero begins with a riveting and heartbreaking chapter. Malcolm and his parents are a circus family. Mom stands in the middle of a centrifuge while dad drives around her at top speed on a motorcycle. Malcolm is never afraid as he firmly believes his mother’s love is unconditional and his father is invincible. As a result, Malcolm is protected and loved completely. What happens in the first chapter completely shatters Malcolm’s belief in personal safety and security. When Malcolm’s father is killed being a hero, we understand the title of the book and the motivation of the protagonist. The reader is quickly invested in Malcolm’s well-being and wants to know what will happen to him. Fatherless, and living with a mother who has lost her glow, Malcolm lives in constant fear. His coping mechanism is to separate himself from society and try to be invisible to the bullies that inevitably dog his life. When his mother sets up her traveling flea market in the theatre of a small town, Malcolm is targeted by three dangerous, violent bullies. The leader of this trio is the grandson of the harsh and manipulative mayor. Malcolm seems doomed. Just when things seem the most hopeless, in walks a mysterious gypsy woman with a magical trade. She promises it will help him live without ever being lonely or afraid, the two most dominant emotions in his life. What unfolds is humorous, touching and suspenseful. The only time this book did not feel believable was during the fire scene but that is probably because I have been researching this topic recently for my own work. This is the kind of book that would translate easily onto the big screen. There are laugh out loud scenes that would be even funnier to watch. Although some things are little clichéd, it doesn’t matter because the character of Malcolm is so well-rounded and lovable that we buy everything at face value. The author has a talent for atmosphere and characterisation. Readers 10 years old and up will find time flying by as they enjoy this wonderful book. A copy of this book was generously donated by the author to my Little Free Library. A Tunnel in the Pines by Lucia Greene. Book Review. Lucia Greene knows how to build suspense and create believable plots. A Tunnel in the Pines progresses at a fast pace and it’s difficult to put the book down. We have a foreshadowing of what might happen but we’re not sure what the final outcome will be. As the story builds and the sinister possibilities grow, we become more and more sure there’s going to be a tragedy. But, is it going to be exactly like the foreshadowing or is it going to be an unexpected twist? Will Taylor, Wills older brother, protect the younger boys or continue to bully and intimidate them along with Strat, the creepy, dangerous muscle guy. Wills, and his best friend Andrew, have the best intentions when they start a club but things get out of hand quite quickly when the older boys take over. Unknown to Andrew, Wills has discovered that his friend has asthma but is keeping it a secret. Andrew is afraid he will become even more of a target but we know that some secrets can be fatal. The plot is tight and tells just enough details to keep the reader engaged. The author draws a repeated parallel between the worms and the boys. Her use of Darwin’s information enriches both the story and the characters. The dialogue of the boys is completely believable as is their behavior, although I was frustrated and angry with Will’s older brother, Taylor. The author, Lucia Greene, was interviewed on this blog here.